This issue features essays that explore the motif of exorcism in the Xuanhua Liao tombs, the Laud Ragamala Album, Bikaner and the sociability of subimperial painting, the social and economic backgrounds of the guild members of the Shanghai Curios Traders’ Association, and the freestanding, three-dimensional forms and material “non-sculptures” of the Korean artist Lee Seung-taek. Contributors include Molly Emma Aitken, Jeehee Hong, Joan Kee, Rob Linrothe, Di Yin Lu, and John M. Rosenfield. 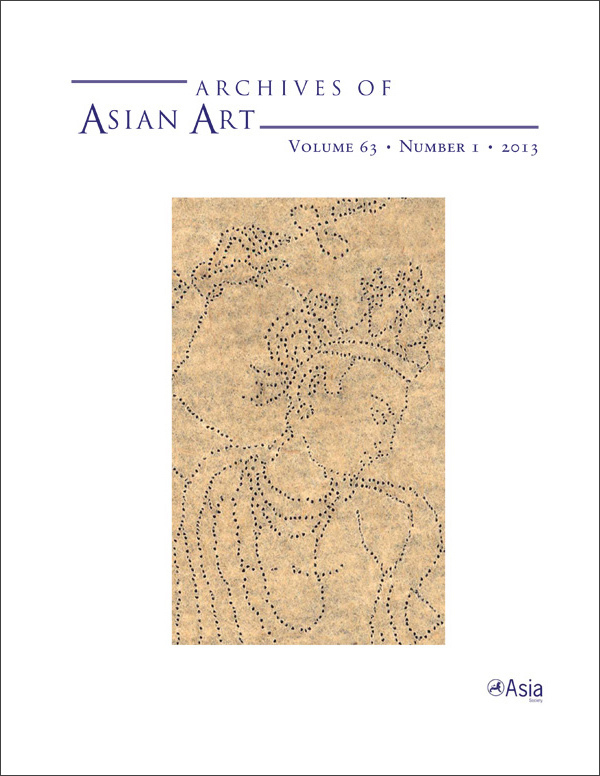 View the table of contents for Archives of Asian Art 63:1, at the journal's online site.